Mr. Frank Ning was appointed Chairman of the Board of Sinochem Group in December 2015. Prior to his current post, Mr. Ning was President of China Resources Enterprise Limited, Vice Chairman and President of China Resources (Holdings) Co., Ltd., and Chairman of COFCO Corporation (COFCO). Mr. Ning earned his MBA degree from Business School of University of Pittsburgh in the United States. He is a certified senior international business engineer. Sinochem’s core businesses span over energy, agriculture, chemicals, real estate and financial service. 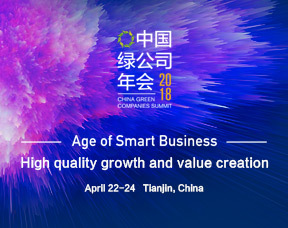 It is one of China’s four largest state oil companies, China’s biggest agricultural input company (fertilizer, seed and agrochemicals) and China’s leading chemical service company. It also exerts strong influence in real estate and non-banking financial service sector. Mr. Frank Ning is a member of the Central Commission for Discipline Inspection of the CPC elected at the 18th CPC National Congress, a member of the “13th Five-Year Plan” National Development Planning Expert Panel, Co-chair of APEC Business Advisory Council (ABAC), Chairman of APEC China Business Council, and Executive Director of International Chamber of Commerce (ICC).